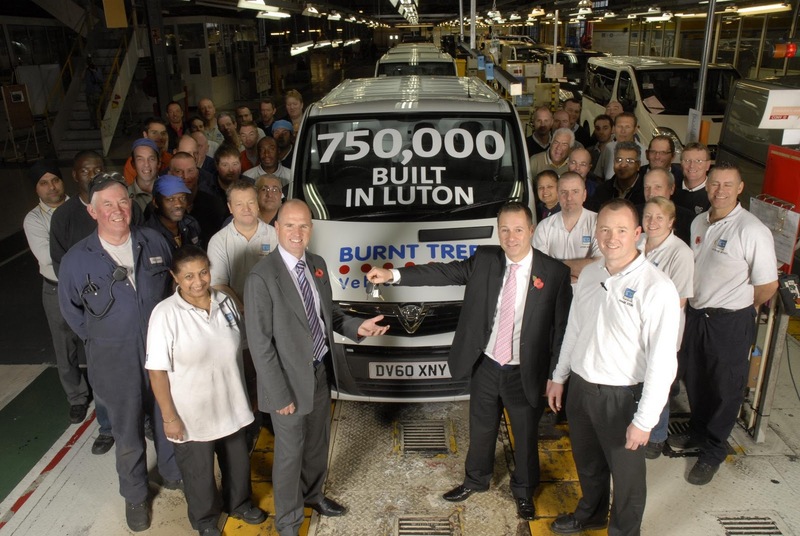 Vauxhall is celebrating a milestone for building its 750,000th Vivaro commercial van, which rolled off the production line. In a celebration attended by the workforce and senior management from Vauxhall and Burnt Tree Vehicle Rental, the 750,000th Vivaro was handed over to Richard Metcalf, Burnt Tree’s Managing Director. Burnt Tree is the UK's largest independent car, van and specialist vehicle rental, leasing and contract hire company. The Vivaro is built at the Luton plant in a joint venture between Vauxhall and Renault which began in 2001. The factory produces all European specification low-roof derivatives of the Vivaro for the Vauxhall/Opel brands, as well as Renault models. Vauxhall is the largest manufacturer of commercial vehicles in the UK, building over 60,000 vehicles at Luton so far this year.